Louis Buvelot was a Swiss-born landscape painter who emigrated to Australia in 1865 and influenced the Heidelberg School of painters. 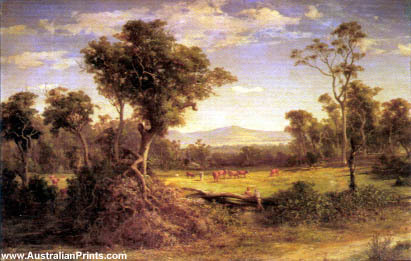 Louis Buvelot (3 March 1814 – 30 May 1888), born Abram-Louis Buvelot, was a Swiss-born landscape painter who emigrated to Australia in 1865 and influenced the Heidelberg School of painters. Although often referred to as ‘the father of Australian landscape painting’, Abram Louis Buvelot was actually born in Switzerland, studied art in Lausanne and Paris and spent 18 years in Brazil. When, for health reasons, he migrated to Australia, aged 51, he spoke no English. In 1879 his next-door neighbour was none other than the young artist Julian Ashton and because Ashton could speak French, he and Buvelot became close associates. 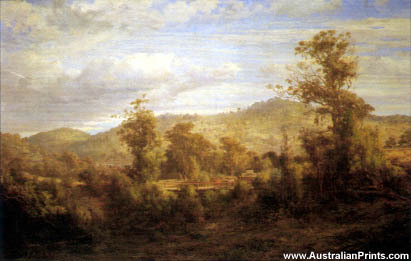 Buvelot was an Australian pioneer of ‘plein air’ tonal impressionism, as exemplified in France by the Barbizon School painter Corot. 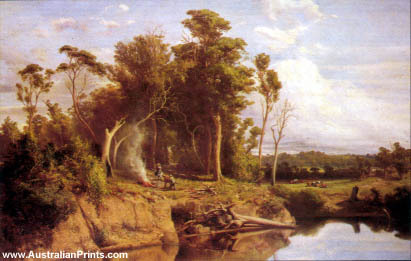 His truthful representation of the Australian bush had a profound influence on the artists of the Heidelberg School such as Roberts, Streeton and McCubbin. Artist information page for Louis Buvelot. This article uses material from the Wikipedia article Louis Buvelot, which is released under the Creative Commons Attribution-Share-Alike License 3.0.